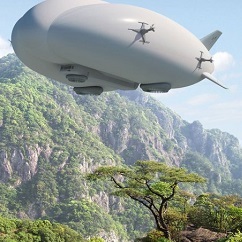 The operator of Lockheed Martin’s blimp-like hybrid airships on Wednesday announced its first customer, a Canadian mining company that expects to lease seven of the heavy-lift cargo aircraft for a decade starting in 2019. Quest Rare Minerals will lease the airships from operator Straightline Aviation in the first commercial use deal for the airships, which are filled mostly with helium, said Hybrid Enterprises, which sells the aircraft for Lockheed. Quest signed a memorandum of understanding with Straightline on the sidelines of a Canadian aerospace conference. The deal between Straightline and Quest is valued at US$850 million, including fuel costs, over the 10-year period. Lockheed, the U.S. Defense Department’s No. 1 supplier, has said the airships will revolutionize the way oil and mining companies haul equipment to the Arctic and other remote areas without roads. They can move 20 tons of cargo and set down on nearly any flat surface, including sand, snow and water, the company said. Quest is in the early stages of developing a rare earth metal project in northern Quebec and does not yet have an operating mine. The airship is still awaiting certification from Transport Canada. Lockheed has long been trying to secure a customer for the airships. 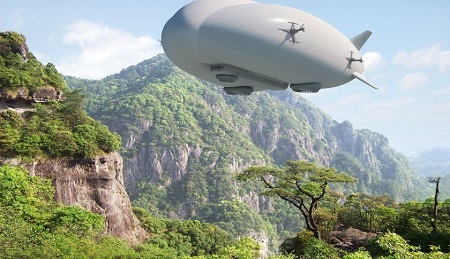 Lockheed is working with Hybrid to target a commercial market for the slow-moving airships. The airships would be used by Quest to provide dedicated air services between the company’s Strange Lake complex mine site in Northern Quebec and Schefferville, which has a rail link to the Port of Sept-Iles. Straightline, the only announced operator of the airships, expects to convert a letter of intent into a firm order for 12 of the aircraft in early 2017, chief operating officer Mark Dorey said on Wednesday. This entry was posted in Airships, Hybrid Airships and tagged airship, hybrid airship, Hybrid Enterprises LLC, LMH-1, Lockheed Martin, Quest Rare Minerals, Straightline Aviation. Bookmark the permalink.